Ever consider service business ideas for those of us with small budgets? Surprisingly, there are several that enable you to make a rewarding income. Nearly all of these may be operated from your home, which, obviously keeps the overhead cost down. A home service business is becoming very popular. With the rise of the Internet, and even using your company FaceBook page, advertising costs are kept low and practical. It’s simple for a home services business to set these up. Advertising in the Yellow Pages is very expensive and no longer necessary. Please consider the following low cost service business ideas. No longer do you need a big steam-cleaning rig like the familiar traditional carpet cleaning truck that pulls up outside your home. Today, a small compact and every inexpensive portable units are available. You literally may clean an area the size of a whole house using less than a gallon of water. Place the unit in your trunk and away you go. Learn more about this fantastic opportunity for both residential and commercial applications. The need today for you to help repair the credit standing of people is unprecedented. Your clients need debt management, negotiate lower balances on their credit cards, home loan reductions and/or lower rates, divorce credit repair, credit counseling, etc. The opportunities are endless. This is one of the outstanding service business ideas in the marketplace today. This article suggests how you may start your own credit repair business and how to market it effectively. Historically, organizations from non-profits to small and large businesses hold events using the facilities of hotels, event centers, convention centers art galleries, museums and even large homes. Most all of them require event/party themes to be developed and implemented. After much of the business downsizing that has taken place, many of these organizations need a person to handle putting together their events. Event planning is a serious opportunity. Window blinds are everywhere: restaurants, houses, apartments, office buildings and in buildings of every description. Which homeowner (including you) or company that you know loves to clean their blinds? So, most everyone looks to a someone else to perform this dirty and frustrating work. With a vapor steam machine your cleaning time is cut by up to 75 percent. There is a ready-made market built into this opportunity. Get the details in this article. Not everyone can afford his or her own pool boy! 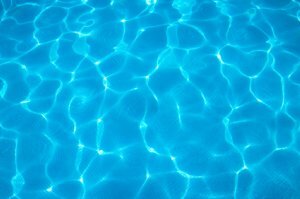 The next best thing is having a pool service periodically test and clean their pool. Significant money may be made with this service enterprise. This article explains how to start and market this opportunity. If you have an eye for detail and creativity, this is a literal goldmine. There are so many techniques to be used to place a home in its best light for prospective home buyers to see, that homeowners more and more see the value of hiring a home stager. The better news is that the resources to learn this skill are readily available. This opportunity is so worthwhile! There are now over 1 Billion websites and growing. Many of the webmasters of these sites need pages written for their site. They just do not have the time. The same is true when a small company wants to develop a website to complement their existing business. If you know spelling and punctuation this may be one of the service business ideas that fit your interest. The work is interesting. It may be done to wrap around your personal life. This article explains how to get started and to market your effort. If I may assist you in anyway, please just contact me. Thank you for visiting Service Business Ideas for Enterprising Entrepreneurs. My mission is to Pay It forward. I will bring my 40 years of experiences to assist you as you consider any online or offline business. This is not a come-on, a trick or something else to get you to buy stuff. Nope. This is a sincere offer to help you.